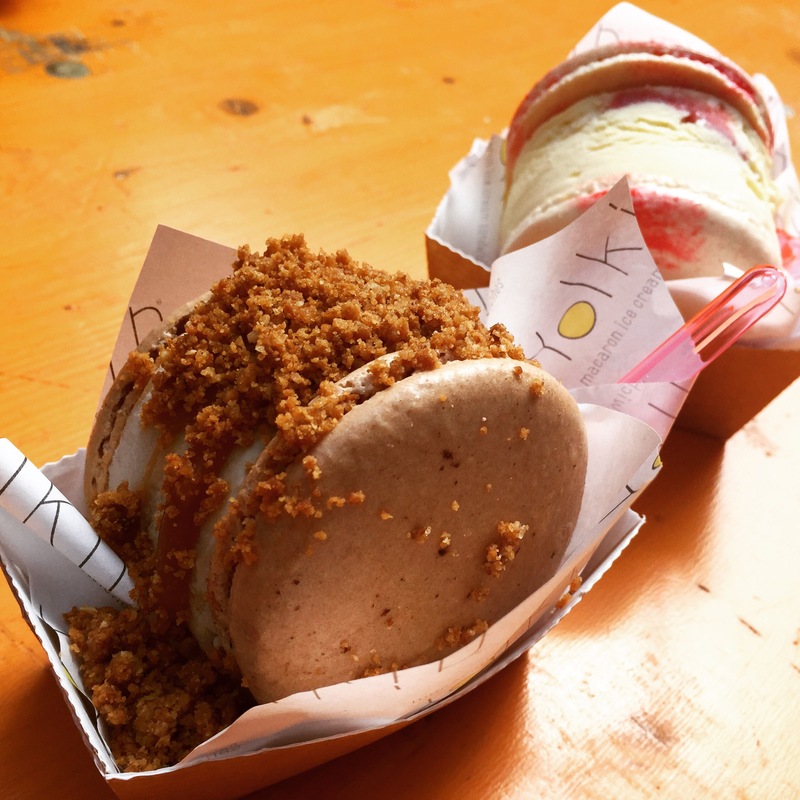 This post is essentially a public service announcement: there’s a street pop up in London serving up macaron ice cream sandwiches. It’s an exciting discovery that I simply felt compelled to share with my fellow sugar junkies in London. We went for the Banoffee Pie & Eton Mess – a scrummy and cool explosion of flavours, against a chewy macaron base. The oaty crumbs sprinkled generously on top of the banoffee pie sandwich added a lovely crunch, as did the little bites of meringue with the Eton Mess! 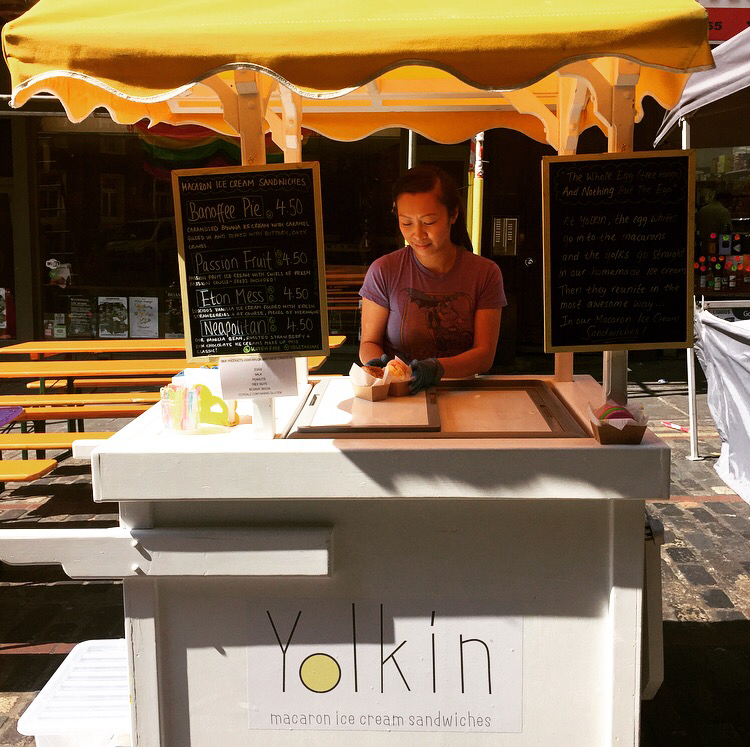 Three years on from the time that I first penned this post, Yolkin has established its first permanent store in the heart of Chinatown. Flavours continue to be just as creative (think blueberry cheesecake, pandan, Vietnamese coffee and more…) and compelling for a revisit! Great blog! All the food is making me dribble! Please check my site out too! Like & Follow? Much appreciated! Yum! These look amazing and the presentation is impeccable. I always wonder how anyone can make something this perfect. Would love to try this but it’s a long way from Sydney. I am hoping to get to London for next year’s bloggers bash and seeing these scrumptious eats, is really trying my patience.